Ethiopia is a land of endless stories and histories, many never heard outside this elusive country. With a history stretching back more than 3,000 years, Ethiopians are a justifiably proud people. John Graham has tirelessly traversed Ethiopia, and explored many nooks and crannies of this ancient country in an effort to tell the story of its peoples. 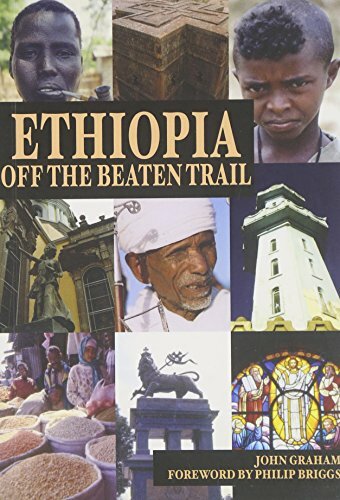 Ethiopia: Off the Beaten Trail is an informal and informative look at a country that is generally overlooked as a tourist destination. After decades of isolation, Ethiopia is now opening its arms to visitors again. From the Aksum to the remote mountain monastery where the Ark of the Covenant is said to be kept, Graham paints a vivid picture of Ethiopia and provides a window to its unseen gems.